How Do I Block Calls From "Scam Likely"? Here's The Real Solution! You are at:Home»iPhone»Cellular»How Do I Block Calls From “Scam Likely”? Here’s The Real Solution! You keep receiving phone calls from a mysterious “Scam Likely” and you want to block them. The new scam ID feature has created quite a buzz among mobile phone users, who are excited about the thought of never having to receive another phone call with nefarious intent. In this article, I’ll show you how to block calls from “Scam Likely” on iPhone and Android smartphones, so you won’t have to deal with phone scams ever again. Who Is “Scam Likely” And Why Are They Calling Me? 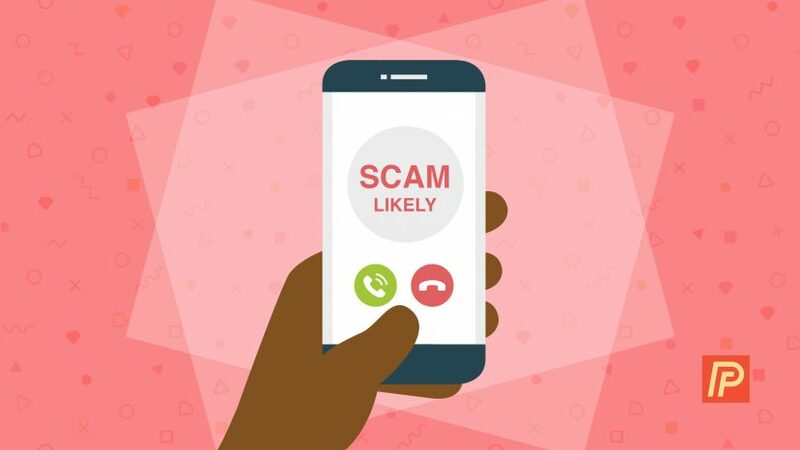 Some wireless providers such as T-Mobile have created a new scam ID technology that automatically labels a potentially dangerous caller as “Scam Likely”. PrivacyStar, a company that helps mobile phone users avoid unwanted phone calls, also assisted in creating this scam filtering program. To read more about this new feature, check out our article called My iPhone Says “Scam Likely”: Here’s Why It Happens! How Do I Block Calls From “Scam Likely”? For many iPhone and Android smartphone users, knowing that a scammer is calling isn’t enough: they want to block the scam calls altogether. Fortunately, if T-Mobile is your wireless provider, there are some short numeric codes you can dial into the Phone app on your mobile phone to block calls from “Scam Likely” entirely. Note: Other wireless carriers (Verizon, AT&T, Virgin Mobile, etc.) don’t have these custom codes yet, but if they do create similar codes, we’ll make sure to update this article! 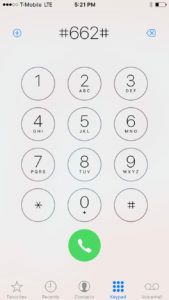 To block phone calls from “Scam Likely”, enter #662# in the keypad of the Phone app of your iPhone or Android. Next, tap the phone icon to make the call, just like you’re calling a real person. To make sure you’ve blocked phone calls from “Scam Likely”, you can dial #787# in the keypad of your iPhone or Android’s Phone app. And, if you ever want to turn off scam block, just dial #632# in the keypad of the Phone app. That’s all it takes to block calls from “Scam Likely” entirely! We hope you’ll share this article on social media so your friends and family can also take a few moments to block the scammers who have been trying to call them. Thanks for reading this article, and remember to always Payette Forward. Previous ArticleMy iPhone Won’t Play Voicemails! Here’s The Real Fix For Verizon, AT&T, & Sprint. Next Article The Case Against Rubber iPhone Cases: Conspiracy? You Decide.